Varanasi is an exciting mixture of art, craft, spirituality and beauty and offers the experience of soaking in the aura of India in its truest sense. There are many activities which will make your Varanasi trip extra special. Learn more about all that you should indulge in while you are on your vacation in Varanasi. 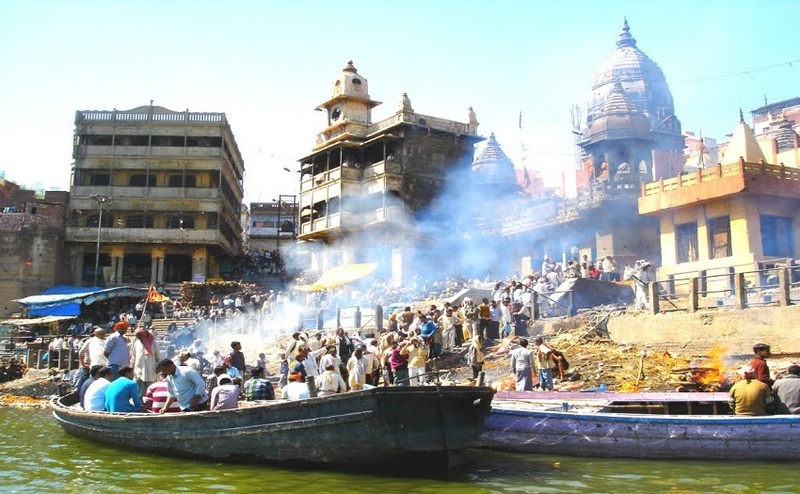 The holy Ganga supplies Varanasi with abundant water and accentuates its spiritual charm. Going on a boat ride on the Ganga in the early hours of the morning is one of the best experiences to have in Varanasi. The boat ride will take you through several Ghats and these places are all close to the banks of the Ganga River….a panoramic view of the river and the whole region is presented and this is a wonderful opportunity for photography. The perfect time to enjoy boat rides in the Ganges are the dawn hours as well as dusk hours. However dawn is still preferable because of its mystic qualities and the beneficial aura of the rising sun. 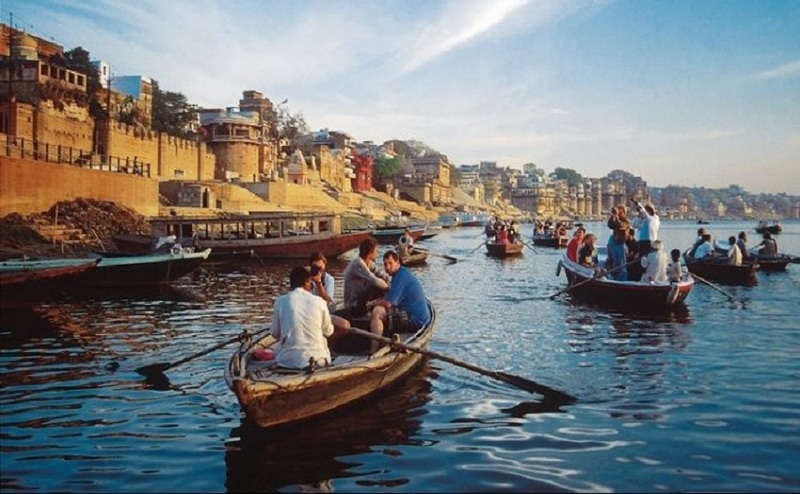 When you are in Varanasi…dipping into the waters of the holy Ganges is a must do-activity. A soak in the holy river waters is said to absolve the body and the soul of all its sins. 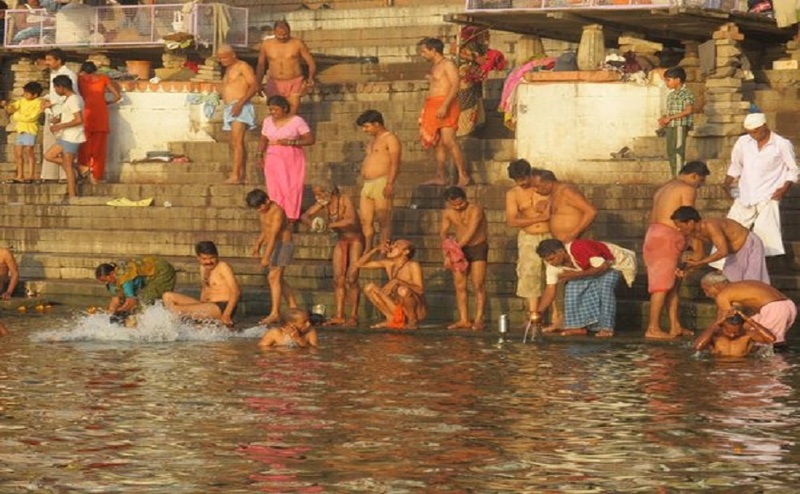 Your travel in Varanasi is incomplete without the traditional bath in the Ganges. 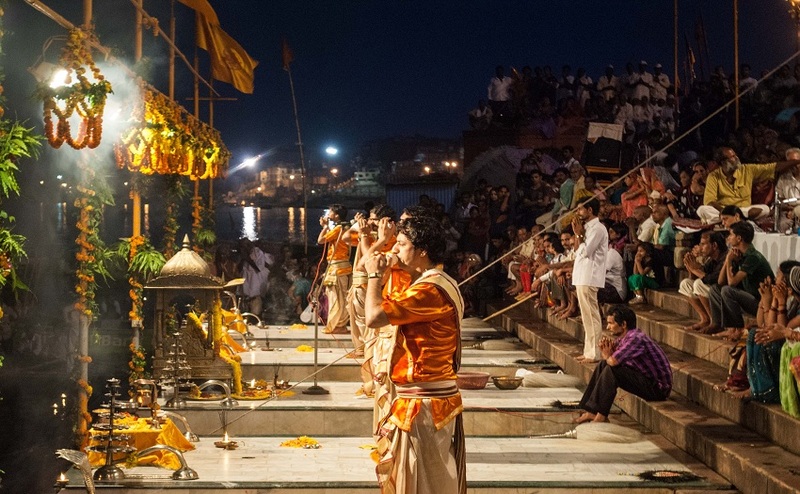 When one thinks of the top experiences in Varanasi….naturally the evening aarti springs up in the mind. This is sort of a surreal experience as chants, fragrant flowers and lots of incense create an atmosphere of mystique and charm. The aarti happens every night at 6.45 p.m. and lasts for 45 minutes. Giant brass lamps that weigh almost 5 kgs are used in the process. You must try and watch the ceremony from the Daawamedh Ghat and let the spirituality of Varanasi introduce you to the true spirit of Hinduism. If you are in Varanasi and haven’t interacted with the weavers there then you have missed out on a large part of the essence of this town. 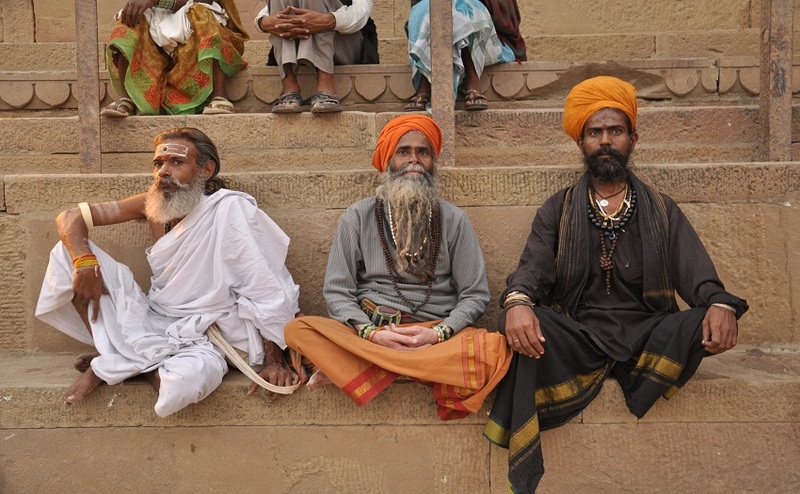 The Varanasi weavers are known for creating some of the most beautiful weaves in the world. They craft masterpieces in gold/ silver and jewel toned zari brocades along with intricate opulent embroidery. The village of Sarai Mohona is known for its weaver community and this is where you should definitely go to experience the essence of Benares. Shop for sarees, brocade garments, dupattas and a variety of other benarasi weaves here. Food in Benaras is truly a soul experience. 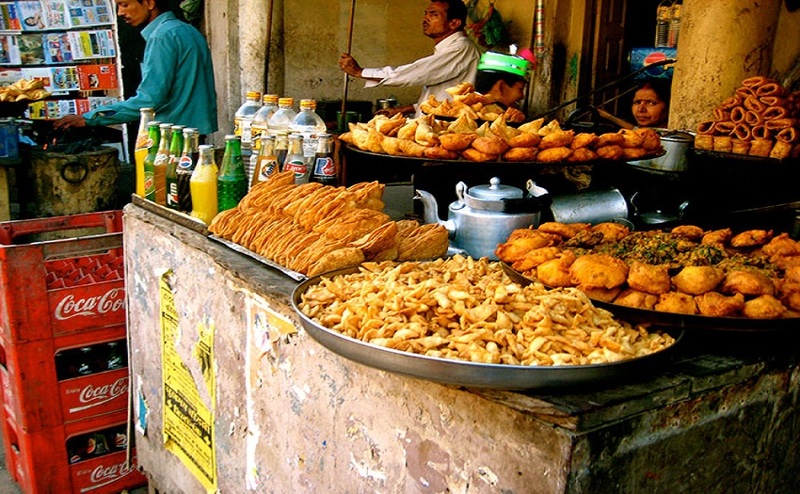 You can munch on the delectable snow cones, jalebi and steaming hot milk (this combination is famous here) and snack on mouth-watering chat items like aloo tikka, pani puri, kachori, tamatar chaat etc. another mouth-watering delicacy of Benaras is their paan….is tender, succulent and filled with a delicious variety of stuffing’s. You should also feast on Rabri, kalakand, amrita and other delicious sweets while you are on your holiday in Benaras. You should definitely go on a day trip while you are in Varanasi and one of the chosen destinations should be Sarnath that’s just 12 km away. The Dharmekh Stupa dates around 200 BC and is 128 feet high and 93 feet in diameter…this is one of the important relics in the area. Large numbers of visitors to Sarnath are drawn to the impressive historical significance of these relics. The ashoka pillar at sarnath has lovely carvings and is a must see spot over here while the Mulagandhakuti Vihara is the spot where many rainy seasons were spent by the Buddha in meditation…this is also an important destination. Also watch out for the 6 national temples that have been built by different Asian communities…there is a Sri Lankan temple and a Tibetan Temple in the list. 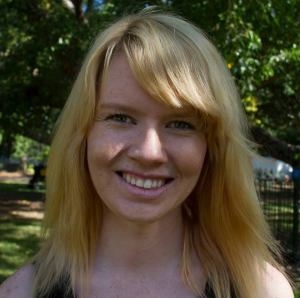 Your pictures have really sold me! The River Ganges is one of those places people talk about so much it’s really obtained mythical status and it looks incredible. I love just walking around new places and this seems like a great place to just go with the flow and enjoy yourself. Very nice compilation of things to do in Varanasi. 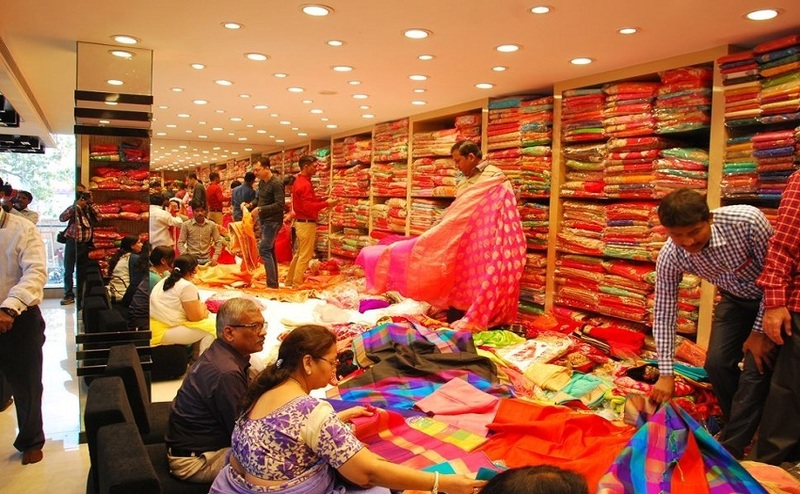 My mom would love to go shopping – who can say no to Banarasi sarees. The first thing I would do is head out on a street food tour. Those samosas and jalebis seem to be calling out to me! Varanasi is an incredible looking place! I’ve never yet been to India, but from your photos, I’d like to see these vibrant scenes myself one day. The food sounds interesting, and I’d probably just observe their bathing rituals rather than take part. It seems quite spiritual for them. Varanasi is a mind-blowing looking spot! I’ve never yet been to India, yet from your photographs, I’d jump at the chance to see these dynamic scenes myself one day. The sustenance sounds intriguing, and I’d most likely simply watch their washing customs as opposed to participating. It appears to be very otherworldly for them.